If it is one thing I’m really good at it is coming up with the perfect design a couple months too late. Still working on turning that around and increasing my studio “action” time borrowing from my dreaming, rearranging and blank staring studio time. I come by it honestly. I remember many occasions when my dad would head down to the basement workshop after dinner and them come up for the 11 o’clock news and my mum would look at me “did you hear the saw at all?” I’d shake my head knowing we were about to hear “still in design phase”. Today, a wee step forward. My entry for the Art Bead Scene’s March challenge - during the month of March! Thinking on that springtime snow, I imagined the base of this little feeder and all the little circling footprint of birds and squirrels you would see in that snow, eating up all that fell. I knew I had just the beads from many years gone by to represent this idea. I made these little polymer coins at least five years ago. They are sanded super smooth and feel like silk, harvested from a simple necklace that never quite had “it”. The wood window bead and little blue bird, from blueberribeads were quick to fall in line. Some teeny pearls pretending to be bird seed and some little pink flowers trying to poke out from the snow finish off my literal interpretation. Oh, I glossed over the part where I took forever to actually make the bracelet since I couldn’t quite decide how I would have this little guy stand up this way, perpendicular to the polymer coins rather than in line. In the end I’m pleased with the result, just wish I could move the process a bit quicker. 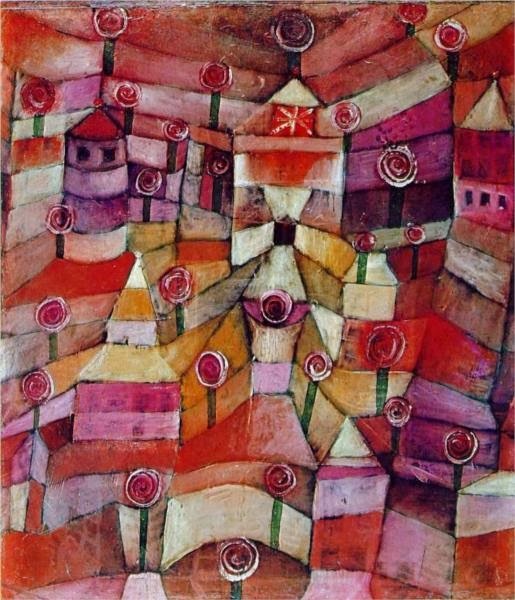 Back in February the ABS challenge featured the work of Paul Klee with The Rose Garden, 1920. I had just created a series of long tassel necklaces in this same palette and the whole month managed to pass on by without me photographing them to share. True to form, here they are a couple months later. They also feature the darling birds of blueberribeads each sitting on a little crystal “egg”. I created a polymer nest and polymer adorned tassel, along with my little wood burned beads. I posted this teaser pic the other day of the soup I was sending out. Not too hard to see it had plenty of blue. Now I know that it is safely in the hands of my partner, Cindy Boissonneault, I can unswirl the photo to share what I sent for this 8th BSBP. Heavy on the blue indeed, as I decided my aim would be some of my favourite things. A polymer focal made from my favourite antique button, and the flame painted copper toggle in front are the principal ingredients. I added a selection of polymer headpins, connectors, faceted pebbles,a coin and the little flower pair. Waxed linen and sari silk I love to work with had to be there too. Then I turned to my gems to see what would go with the scheme. It was slim pickings of my beloved kyanite and I think that’s called antique agate and a few freshwater pearls. All of which I really need to re-hoard! I was relieved to hear that Cindy was excited to get to work with these elements and that it was outside her comfort zone. Now for the lovely soup I received from Cindy! Isn’t it beautiful in all its blue and silver glory? That clasp sure is the star, and I had to angle it just so, so that you could see the brilliant blue flash in the stone. What the photo hides is that the clasp is for five strands, something I’ve never worked with before so will be a wonderful challenge. Would you believe I also don’t own a single dagger bead – well until now. All sorts of ideas with spikes are coming to mind. I’m not sure the correct names of all these gems so I’m just going to go with “ooooh pretty blue stones” for now. So you can see the colour scheme is wonderful for me but there is still plenty challenge with these new-to-me forms. Ah, the magic of bead soup! May 3rd is the reveal day, and one thing is for sure, Cindy and I will have plenty of blue jewelry to show that day. The creative continuum of 7 artists–reveal three! Here we are, end of March almost and it’s time to bring you another installment of the CC7A. As a reminder here is the gang, brought together by Alicia to have a grand old time. This month Sally sent us all a spark of Contrasting Colors. I forgot to take a photo of all the lovely beads all mixed together so please follow that last link for a peek. As pretty as the beads are all together I immediately separated them – what a difference! This palette that I received was so intriguing and outside my regular "colour operandi" that it was a complete joy. There was bead shopping done, bead making done and lots of time spinning ideas around. Oh the tension of the contrast! The pinky oranges and greens, would they all play nice? From this little peek I’m not so sure. Stepping back a bit for the full look I’m a bit more convinced. I began the project by wire wrapping all the little mottled green glass rounds, at that point unsure of what I would create. It was the three holes of the beautiful copper focal that had me full of inspiration and doubt all at once. I created some little polymer disks in a translucent orange-pink and gave the edge a sweep of gold mica to keep the orange tones of the little facetted rondelles going. This lead to me wanting to create some polymer connectors along the same lines, using the image of lily of the valley as a fitting spring tie in. In the end it is quite long and I may remove some sections at the back to have it come up a bit – or not. I was a little sad that none of the bracelet ideas I had came together with this focal since I simply wanted to incorporate too many pieces. Then it occurred to that this year's BOC charm swap included a heart from Kristi Bowman Design. I’m pleased with this kind of coordinating pieces without being matchy-match. I would have never dreamed up this bracelet if not for Sally’s beautiful mix of beads to start from. I did say I made a bunch of beads right? Yup, I even made a cabochon (that's like a little fib since it is more of a pendant without a hole drilled, but I thought hey - options!) I must have been channeling my talented CC7A bead embroidery friends. Similar polymer connectors will soon be making their way into the A Polymer Penchant etsy shop in the coming days. I’m so excited to see what all those other beautiful contrasting colours grew up to be. Thanks ladies for such a fun journey. I'm just going to have those links here at the end too - get hopping! I hesitate to look at the last week I participated in focus on life – I’ve missed it. I just took a peek at this week’s prompt last night: expressions. Quite fitting that this morning was Averleigh’s first little dance recital. The last 15 minutes of her dance class parents were allowed into the room to watch. The girls all had a great time, some with more of their own rhythm than others. Seeing each of them dance in turn, using their whole bodies to express themselves, it was a little window into each's personality. Many a beautiful expression to see. I wish I had thought to bring my longer lens! I love the blur of her skirt in this twirl. A soup on its way! Can you believe that right now there are 500 soups criss-crossing the globe?! I confess that mine will only be starting its journey tomorrow morning as I found myself suddenly sick at the end of the week and then back to normal Saturday. I’ve been sick like this before, blinding headache, can’t even keep water down, then back to normal as quick as it came on. I’m keeping track and will hopefully get myself to the doctor next time, just wasn’t in a position to drive myself. On to much nicer beady things! 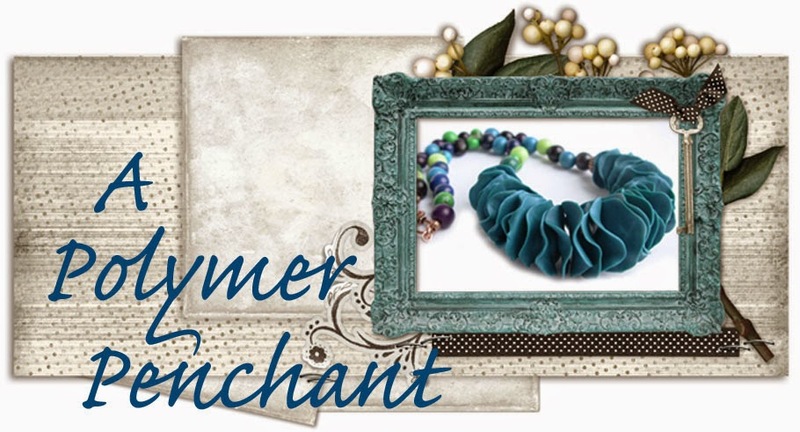 For this 8th Bead Soup Blog Party I’m partnered up with a fellow Canadian, Cindy Boissonneault of www.dziar.com . Taking a look through Cindy’s gallery she sure does have quite the array of beautiful pieces in many colours, textures and techniques. I was so thrilled to see she had such experience with a variety that hopefully she will have a fun time working with the soup I had planned. My plan this time around was just to work with my favourite things in the hopes that if I really loved the soup and felt the tinge of “oh maybe I’ll keep this” then it would be a good one! I fear I will say too much, I don’t want to ruin the surprise so for now just a teaser. Ok that does give away the palette a bit, but that’s the prettiest teaser pic so I am going to stick with it. While I was taking the photos my not so tiny anymore kitten Rufus came to soak up the sun. You can really see how short hair he is just like we were lead to believe. umhm. Oh well, he’s still a cutie, just a giant furry cutie. Back to the soup, I can’t wait to unscramble the photo above and I certainly will be checking my mail box for the goodies coming my way. Always such a fun time! I'm feel very lucky to get to take part in this challenge and am grateful as always to Lori Anderson and company for all their efforts in making the BSBP happen. It’s still underway. I had plans to make it to the hardware store Thursday and pick up some brackets to repurpose the side rail of a crib and I got a bit waylaid. The former owner of the crib and I managed to score free admission to the Children's Museum. Hmm, chores vs play? I’m serious, it is just chaos. I’m fighting physics and making order, but it is slow going. This is my principle work space. This is a panoramic shot from one corner that while in the studio is not really studio space [more on that in a bit]. My next space is in the basement so more dark photography in store. Here is where I work on making jewelry. Your eyes are not deceiving you. Tucked back there is my glorious twenty drawer Hamilton cabinet that I stripped and refinished. A tense moment during the sort through. That white cart on the left started to roll off that way as the bookcase on the right began to fall to the right. I looked like a cartoon animal for a moment as I used every limb to minimize the impact of all sorts of things falling, but I managed. There really has been progress since this point. I moved all this and moved in a large stainless steel shelving unit that was previously in a closet and held all kinds of crafty things. Of course to empty and move it everything moved into the studio – ah yeah, see photo above. Sooooo I will be updating this post (probably several times) with some more detail shots of some of the specific areas that have progressed. I’ve managed a lot of storage solutions from just repurposing things already in my home so looking forward to sharing those tips. I didn’t really intend to tell you all this before getting to the point of this post but – it’s the guilt – it makes me ramble! March 1st marks the reveal day for Sharyl McMillian-Nelson, of Sharyl’s Jewelry, studio clean up blog hop. I’m not going to lie, it was reassuring to see the list of participants grow and grow. Many thanks to Sharyl for the deadline. While I’ve not met it, I am well on the way and I can’t wait to be inspired by all the transformations I’ll see in this hop. I hope you will come back in the next few days and see my storage solutions for far too many art supplies, polymer clay, and my unique use of the ubiquitous studio furniture that is the EXPEDIT. Find all the tidying up participants right Here if the list below has a formatting fit.